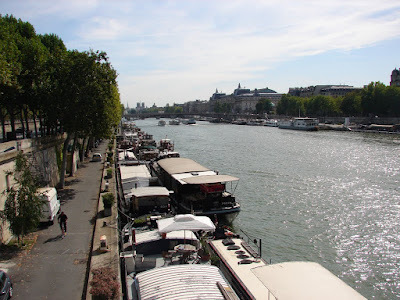 After arriving in Paris from the train ride from Amsterdam, I checked into my room and went out to explore Paris. 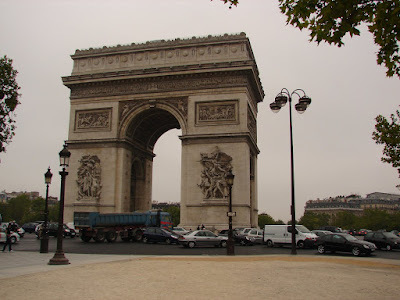 I took the subway to the Arc de Triomphe. It was erected in 1806 by Napolean to celebrate his armies victories. 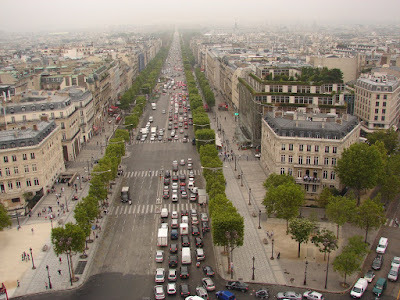 The Arc de Triomphe is also connected to the Champs-Elysees which is one of the main highways in Paris. 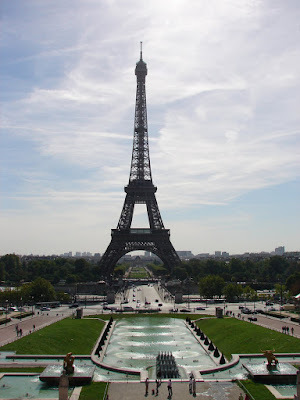 The Eiffel Tower is probably the most recognized monument in the world. It was originally built as a temporary, decorative centerpiece for the 1889 Universal Exhibition but was saved as a radio tower because it was the tallest structure in Europe. Today, it is the very symbol of Paris.
" ' If one of us dies, ' the husband told his wife, ' I shall move to Paris. ' "